Over the last 100 years, successive governments have struggled to improve education by reforming its structure, over and over again. What hasn't changed is that in the UK all state schools are entirely free to parents as they are funded through taxation - though many are now asking parents for voluntary contributions to help fill in shortfalls. On this site you will find a wealth of information to help you choose the right school for your child. We have an extensive search facility - simply enter your criteria to locate potential schools. School admissions and catchment areas can be tricky. We explain the former and have produced catchment maps showing where children who attend (or have attended) a school come from. See how far they travel and, importantly, find out which schools you may be in catchment for, via our Interactive Catchment Area Search and easy to use catchment area maps. Be aware, though, that catchments vary each year. Is there an air of care? Are floors polished, bins emptied, displays fresh, thoughtful, inspiring? A school may not have the best of everything, but it should feel welcoming and looked after. What is the head like? What strengths do they have? What do other parents, staff and students think of the school? A head can singularly make or destroy a school. Look for good, strong leadership with clear guidelines and boundaries. Do the children have a healthy respect for the head? Do they know much about the head? This can be quite telling. What is the school's attitude to those who need extra help and support, whether social, emotional or academic? Are there programmes to stretch the gifted, talented and able? What and when? What about those with special educational needs and disabilities? Are they helped, supported and included? How? How supportive is the school? Does the praise/discipline system flex to meet individual needs? Does it fit with your expectations? How well do children do? Don't just look at the headline figures, delve beyond the headlines (see below). If a school has been under-performing, ask what measures have been put in place to improve results - and for whom. Use the data analysis provided on this website to get under the skin of schools. Read the latest inspection report. What are the headline grades, 'Outstanding', 'Inadequate' or somewhere in between? What actions does the report suggest the school should take? Ask what they have done. Some schools share their school improvement plan with parents - you may even find it on their website. This is a good indication of where the focus will be in the coming year(s) and an indication of what they need to do better. Subscribers can use our quick Ofsted facility. But don’t judge a school entirely by its Ofsted report: it may have got its Outstanding rating by ticking the right boxes, or a Requires Improvement rating because it didn’t tick a few boxes you don’t care about anyway. We review some 300 state schools, giving our personal, independent views, written after visiting the school, talking to the head, staff, pupils and parents. The reviews are available to online subscribers and included in The Good Schools Guide print book. How much of the curriculum is devoted to keeping children fit, active, healthy? Do they run teams for all or just the lucky few? Is there sport for all - including those who find traditional team games tricky? Do they play against other schools? When? Which sports and teams? What really happens after school and at break times? Browse the school website and school noticeboards - what are the children doing? Are there plenty of extracurricular activities? What about trips and tours - for all or just the lucky few? Is the library well-stocked and well-used? Is there a refuge for children requiring a space for quiet reflection? How does the school report to parents? What, when? Is there an active PTA? Are parents invited to be involved with the school? How? What about newsletters? Are these friendly, welcoming and informative or dull and instructional? What happens when things wrong? Ask about their anti-bullying policy and for anecdotes of how incidents have been managed. What happens when children err? Who would be the key liaison person for your child? What is their role? How much, how often, how are you expected to help? Are their clinics available for children who are struggling? Do they have any parent forums or meetings to help parents understand what children are doing? In England, children born between 1 September and 31 August will generally be in the same year group. Those with September birthdays are the oldest in the year. Most children start school in the September after they are 4, although it is often possible for younger children to defer starting for a term or two. Scotland and Northern Ireland do things a little differently. In Scotland the academic year begins in August. Children born between 1 March and 28/29 February will be in the same year group. Those children born in March will be the oldest in the year (assuming they are not placed 'out of year'). The cut-off for starting primary school is that a child should be 5 before the 1 March of the academic year which began the previous August. For this reason, a number of children in Scotland are already 12 when they transfer from primary to secondary school (those whose birthdays fall between March and August inclusive). In Northern Ireland the cut off is end of June, so children born in July are typically the oldest in the year group; again some children will already be 12 when they transfer from primary to secondary school, but fewer than in Scotland. If you are applying in England at the normal time for joining a state school – 4+ or 11+ - then apply through your local authority. You apply during the autumn term of the previous year, with the deadline for senior school admissions of 31 October and for junior school of 15 January. 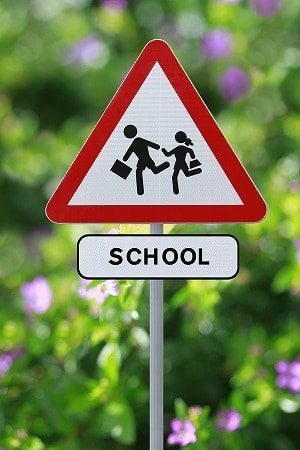 Selective schools must organise their entrance exams in order to give parents initial results before the application deadline – so for most of these you must register during June or July, with exams taking place in September. You can list up to six schools on your application form, depending on your local authority. If you qualify for a place at more than one, then you will only be offered a place at the one highest on your list – so do list the schools in order of preference. The schools don’t know which others you have applied to, nor where they come on your list – only the local authority knows that. Some schools set banding tests, offering places to an equal number of children from each ability band. Faith schools generally require you to fill in an additional form relating to your church-going record. If at all possible, include on your list a school where you have a very good chance of a place, otherwise you risk being offered only Unpopular Academy three bus rides away in the next county. If you want to join a school outside the normal admissions time – perhaps because you are moving house – then in most cases you apply direct to the school, though local authorities can have helpful information of which local schools have spaces. Bear in mind that if you are arriving from abroad, you cannot apply for a school until you have a local address, and if a place is offered, you have to take it up within a short time. These rules don't apply to those in the Forces and diplomatic service. Northern Ireland has a similar system to England, but in Scotland, local authorities set out catchment areas for their primary schools, each of which is associated with a secondary school. Most children go to the school for their catchment area, but parents can make a placing request with the local authority, asking for a place at a school outside the catchment area. The local authority must agree if there is space at the school.